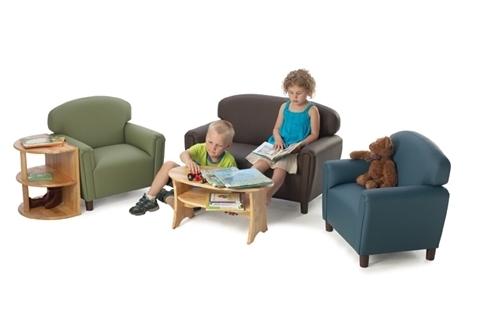 Our preschool furniture is built for the "rough and tumble" years of early childhood, yet provides "the look and feel" of home. The 3.5" legs make the seat height a comfortable 12". Additional shipping charges apply due to volume.